Bent it? Bust it? Lost it? 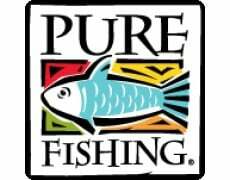 KP Spares are proud to be the Approved Spares & Service Centre for Pure Fishing UK. We supply genuine spare parts, repair & servicing. Fishing Tackle can be expensive to replace. KP Spares offers the opportunity for you to purchase genuine spare parts at affordable prices. We ship swiftly and can talk you through repairing your own gear. We aim to provide the parts you need to get you back out fishing again - and save you time and money!